Luthiers-Mirecourt, Cognier, Terrier, violin,viola, cello, bow, making, repar. 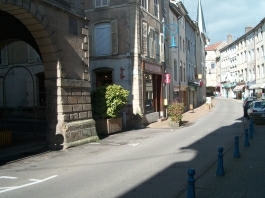 A little town in East of France located south of Nancy, Mirecourt is definitively one of the capitals of violin making. It is more likely that the craft of Lutherie arrived in Mirecourt from Lyon. . "The famous portrait of Gaspard Tieffenbrucker or Duiffoprouggar" was engraved in 1562 by Woeiriot, artist from “Lorrain” who spent his life between Lyon and his native land. 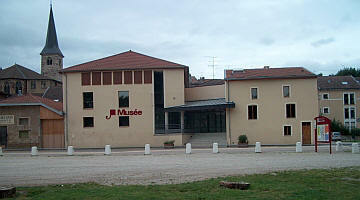 Mirecourt exports its products and its labor around the world including Italy. It is the undisputed training place of many generations of luthiers, and the world capital of bow making. With a record number of more than 600 luthiers in 1926, working in small workshops, but also in large companies like LABERTE, THIBOUVILLE or COUESNON, Mirecourt poorly supports the musical crisis of the 1930s and labor fell below 100 employees in 1954. The creation of the National School of Violin Making stops the fall and the city finds pride again in its most renowned handicrafts. New workshops are implanted, and again today we can find violin and bow makers but also makers of guitars, mandolins and traditional instruments. Today it is easy to find a new or an old instrument. In our Workshop, we manufacture, we perform maintenance and repair, restoration and adjustments of the Quartet instruments, as well as the purchase and sale of violins, violas, cellos instruments and Double basses of any category. We can provide you with instruments of study up to instruments of professional quality (master violin) to play with or for a sound investment. We tell you the origin of your instrument and provide certificates of value for insurance purposes. If you want to meet us, you can make sure of the opening of the workshop by a simple phone call. In case of a maintenance that needs to be done quickly, or for a bow hair lock, it is advised to make an appointment. If you wish to visit us, you can ensure that the workshop is open with a simple phone call. However, In the case of an emergency repair, maintenance, or rehairing a bow, it is recommended that you make an appointment. 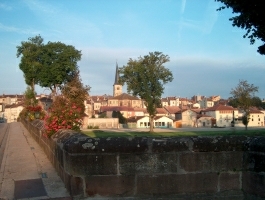 While we are looking or repairing your instrument, you can visit, the area there is plenty to do particularly in Mirecourt. You will be able to visit the “lutherie museum” near the River, the “mechanical music House” located right in the front of the workshop. You can also log on to the Site of the city to review play and theatre schedules. 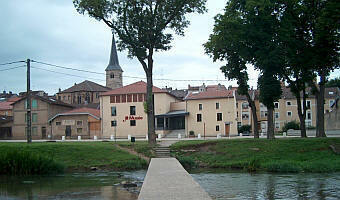 A hiking trail, the "luthier's Trail", allows you to discover houses that have housed musical instruments makers. Indeed, Mirecourt does not only excel in string instruments making but also in the fabrication of organs. Another trail (about 3 hours 15 minutes) takes you along the countryside. The "Schoolchildren Trail" along the river requires 2 hours 30 to the small calves. A hiking trail, the GR 507 crosses Mirecourt, linking the GR 5F (Charmes), GR 7 (near Vittel). You can find all information at the tourism office. “Mirecourt” in the catalogue of Laberte-Humbert 1912. "Mirecourt " in the catalogue of Couesnon 1934. "History of stringed-instrument in Mirecourt" by Jacquot. "Conference about trademarks" by Roland Terrier, Colmar 1992. "How the music comes to instruments " by Lothaire Mabru 1998, republish in 2005. Site last update April 21, 2019. - Violin Honoré Derazey fait à Mirecourt, student of J.-B. Vuillaume. 357 mm. - Violin Charles Buthod fait à Mirecourt en 1844 student of J.-B. Vuillaume. 360 mm. - Violin Marc Laberte "copie exacte de mon Guarnérius Del Gésus" 1741, n° 179 de 1925. 354 mm. Vidoudez Pierre, fascicule vers 1926. aimablement communiqué par Randy Osborne. - Thibouville, généalogie familiale et professionnelle. Dictionary of technical terms fabrication instrumental (1925 GMO directory). Page listing all markings that belonged to several businesses. Since its implementation online, August 1, 2007, this site has received more than 2 115 984 visits. You are always many to use our documentation every day (1 112 March 13, 2016). Thank you all for your trust !